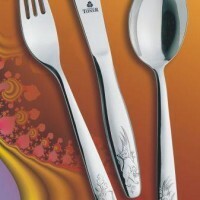 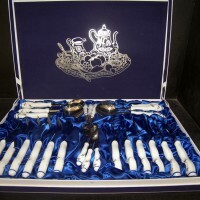 Porcelain cutlery and hunting cutlery are also called special cutlery. 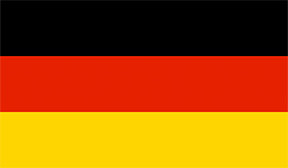 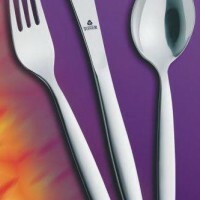 We offer the porcelain cutlery and the hunting cutlery brand Toner. 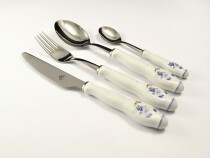 Porcelain cutlery and hunting cutlery are the unique combination of multiple materials. 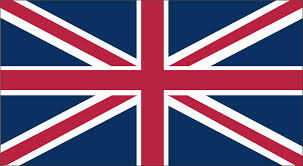 The Toner brand has been using this technology for a long time and has achieved excellent quality. 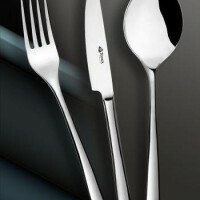 Porcelain cutlery and hunting cutlery are not recommended to be dishwasher-safe. 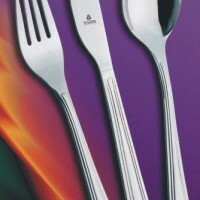 Handling in the dishwasher is dangerous for porcelain grips. 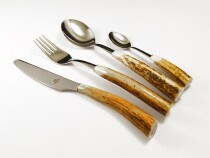 Guards from antlers or wood do not like the chemistry and high temperature that are in the dishwasher. 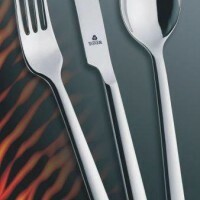 Cut the porcelain cutlery and hunting cutlery manually in warm, not hot, water. 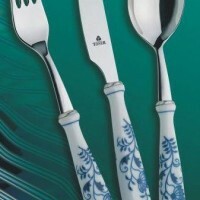 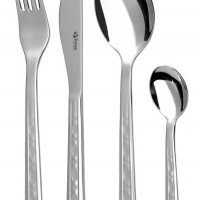 Porcelain cutlery has handles from Czech porcelain manufacturers. 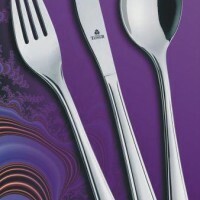 Popular are mainly cutlery Bernadotte and Cibulákové cutlery. 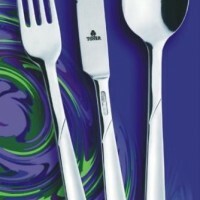 Toner CUTLERY TURIST NOVA 6015 4pcs. 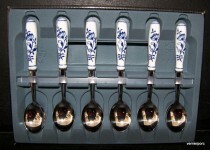 Toner TEASPOON BLUE ONION 6pcs. 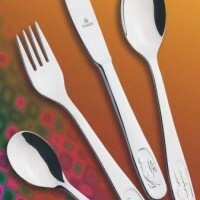 Toner Camping and hiking kit 6pcs stainless steel. 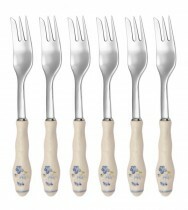 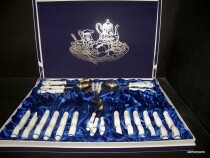 Toner Dessert forks Bernadotte porcelain forks 6 pcs. 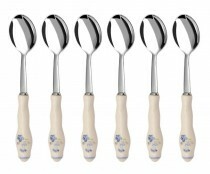 Toner Ladle the soup Hubert.